Nihal has no idea why her hair is blue, or why she is unique. She's never known her mother, and thinks that her father is an armorer. 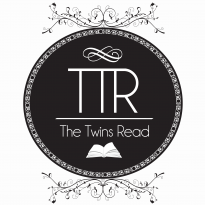 Nihal is the last of her kind, the lone survivor of the race that the Tyrant has wiped out from existence. And she will make him pay. Nihal's story spans her childhood to her being a fierce young female warrior. It encompasses the people she grew up with, people she has unique interactions with in her journey into becoming a young woman who almost always defies everyone's expectations of her. I must admit that Nihal, while being bold and defiant, could have appealed to me, and her being rash and, at times, irrational may have endeared herself to me, she didn't. There was a detachment from her I could not place. It seems that Nihal of the Land of the Wind was originally written in Italian, which could probably be the reason why some scenes just didn't make much sense to me. Some paragraphs and scenes felt stunted and cut too short, while others were much too drawn out to be desired. Nihal of the Land of the Wind had a lot of characters as well that I didn't care much for, given that their appearances in the storyline were too short-lived. I get that this is a fantasy novel and that maybe Troisi was angling for a pretty massive world, but it just seemed a bit too crammed for me. The world the author created didn't really span a huge territory in my head, only that it was full of characters that Nihal would have to have an encounter with. I also didn't quite get Nihal's fascination with Fen, the older dragon knight who is in a relationship with Sennar's aunt. He rides his own dragon and is one of the best combatants around, but I didn't really get why she gets all moony-eyed, even knowing that Fen couldn't and never would be hers. Maybe I'm coming across too serious and seem hellbent on crushing every teen girl's fantasy of the dreamy older guy, but come on. All throughout the novel, all she did was worry about Fen and think of him so pardon my French, but ughhhh. 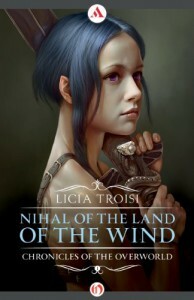 While the novel held its own with an intriguing premise and an ambitious young character bent on proving everyone wrong, Nihal of the Land of the Wind lacked depth and further explorations of the psyche of the characters that could have made a deeper and more lasting impression.